This web page is focused on unlawful termination settlements in Delaware. It is really uncommon for great claims to go to trial, for the reason that they quite often reach settlement out of court. However, when they don’t reach settlement, there might be a trial, in which the plaintiff or defendant will prevail. Many of these cases consist of mixed settlements, implying that they implicated one, or possibly a number of claims of unlawful termination as a consequence of firing in violation of public policy, disability, whistleblower, workplace retaliation, breach of employment contract, pregnancy, gender discrimination, constructive discharge, age discrimination, sexual orientation, gender expression or gender identity discrimination or race, color, national origin, religion discrimination. The table below shows a summary of the different types of cases filed as well as their specific quantities in DE in 2017. 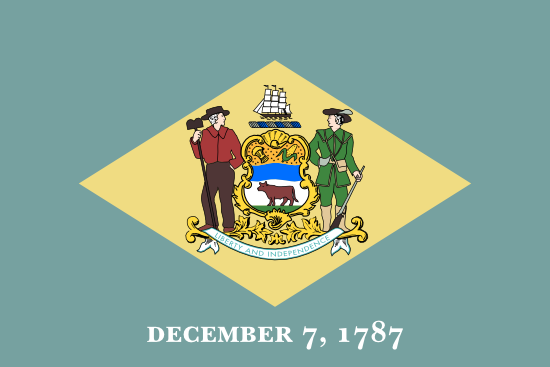 Delaware is the 2nd smallest state in the USA, and as such, there are relatively few wrongful termination cases. You can see from the statistics above, that the total number of these claims make up a marginal percent of all cases in the US. We were able to find only a few settlements from Delaware. Christopher Vely worked as a saleman for DOE Technologies. He had unilateral conductive hearing loss, and asked his employer for reasonable accommodation. He wanted to either telecommute, or be allowed to work in a quiet area of the office, since he couldn’t make sales calls from his office cubicle due to office noise. The company allowed Vely to telecommute at first, but later rescinded the arrangement. They didn’t offer any alternate accommodations, and fired him not much later. This violates the Americans with Disabilities Act. He should have been provided with reasonable accommodations, but instead, he was wrongfully terminated. EEOC v Aqua Resources Inc. The EEOC sued Aqua America on behalf of a black foreman, Henry Blue, who was discriminated against, and fired. The foreman had to endure constant racial slurs by his supervisor and other white foreman. They made offensive jokes and derogatory comments. Henry Blue complained about the hostile work environment to management, but they did nothing to stop the harassment. In fact, they promoted the racist supervisor, and fired Blue in retaliation for his complaints. Racial harassment violated Title VII of the Civil Rights Act. The EEOC sued the company on behalf of the foreman, seeking back pay and compensatory damages. Robbin Vann was chief of police in Cheswold. He was fired from his job in 2005. Vann alleged that the reason of his termination was that he blew the whistle on the town manager, Edward J. Ryan Jr. Vann found out that the manager falsified council meeting minutes to give himself a lucrative contract at the town’s expense. Vann sued the Town Council for breach of contact, defamation and wrongful termination. Dr. Kristina Shuffler worked at Delwarare County Pain Management as a Chiropractor. She started working for the company in 2005. She became pregnant in 2006, and let her employer know. In September of 2006, she had pregnancy related medical complications, and had to to on medical leave. In November, she received a message from her supervisor, that she was no longer needed at the company, and has been fired. This violates Title VII and the Pregnancy Discrimination Act, and the EEOC sued the company on behalf of Shuffler, alleging pregnancy discrimination and wrongful termination. When viewing our catalog of unlawful firing verdicts from Delaware, understand that the bigger amounts are as a consequence of punitive compensation. Punitive damages are rewarded to prevent companies from taking part in the same type of inappropriate behavior. Punitive damages are especially rare. A good number of lawsuits settle for between ten thousand to just a few hundred thousand dollars. This unique report on unlawful termination verdicts and settlements in DE was created for informational purposes. Although you may feel similarity to any of these lawsuits, do not forget that each and every situation is different. If you think you were wrongfully terminated, it’s easy to understand that you might want to know approximately how much money you are likely to be given for your wrongful dismissal case. In the event that you come to an agreement with the employer, the amount of money you acquire is primarily dependant on the following: lost earnings, job search costs, benefits lost, reason of discharge, medical expenses and mental anguish. Punitive damages could also be awarded in rare cases, in the event the employer acted egregiously. As you’ll notice from the example lawsuits mentioned above, providing a median settlement for unlawful termination claims in DE is actually challenging because every claim is different. The average wrongful termination settlement in Delaware is between $6,000 – $100,000. Attorneys are usually effective in reaching a better settlement. The majority of jury awards tend to be bigger, anywhere between $80,000 to $400,000. This is definitely a primary reason organizations choose to come to a mutually acceptable agreement before going to court. If you think you were terminated for some kind of unlawful reason, here is what to do. Most important, you’ll want to talk to a wrongful termination attorney in Delaware to find out if there is a case worth pursuing. Don’t procrastinate, as there are actually deadlines for submitting wrongful termination claims in Delaware. Secondly, you are going to probably need to file a timely claim with the EEOC in Philadelphia, or a local DDOL office.